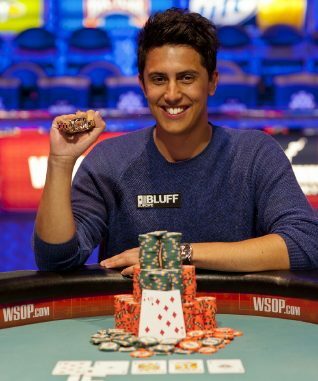 The 2012 WSOP has reached the halfway point and once again, Aussie players are punching well above their weight. Australia ranks ninth for total entrants (125) but fifth for cashes per entries (13.6 per cent and a total of USD $734,294) and equal fourth for final table appearances. South Africa leads the list of cashes per entries, with 13 players cashing among their 42 entries (30.9 per cent). Also coming up in the next week are two historic events in WSOP history. Event #41, the $3000 buy-in No Limit Hold’em tournament, will be the 1000th gold bracelet awarded in WSOP history. 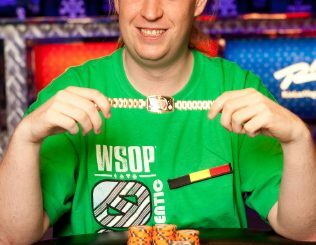 Over the past 43 years, only 1000 golden amulets have been bestowed upon winners as poker’s ultimate symbol of achievement. Event #47 will be the 1000th event held in WSOP history. There are more gold bracelets than events as six champions who won what was called the Mixed-Doubles event, which was played during the early 1980s. Two gold bracelets were awarded to the two winners over the course of six years. • Speaking of international players, Craig McCorkell (pictured left) became the UK’s first bracelet winner for 2012 when he took out the won the $3000 buy-in No-Limit Hold’em Shootout over a field of 587 players. He earned USD $368,593 in prizemoney. 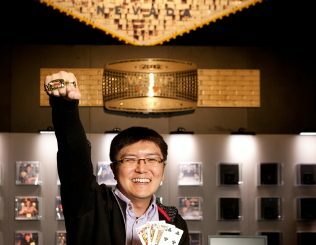 But the six-figure score and a prestigious gold bracelet were mere exclamation points to what was the most entertaining and exciting final table of the 2012 series so far. 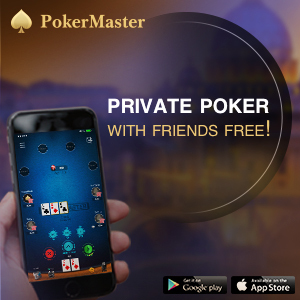 At one point late when play was down to three-handed, former gold bracelet winner Antonio “the Magician” Esfandiari held about 80 per cent of the chips in play. However, in a shocking course of events, Esfandiari went bust within just a 10-minute span – which included three horrendous bad beats. A short time later, McCorkell reversed a 3 to 1 chip disadvantage when heads-up play started against Jeremiah Fitzpatrick. • Greg Mueller and David "ODB" Baker will return to the Rio for a fourth day of $2500 8-Game event action. The two players are the last men standing in Event #37. Mueller will start play with a roughly 3:1 chip advantage, holding 2.655 million chips to Baker’s 925,000. Jeffrey Manza tops the list of 21 players chasing the Event #38 ($1500 buy-in No Limit Hold’em) title. Blair Hinkle, David Pham, Theo Tran, Jason Lester and Scott Clements are also still in the hunt for the USD $607,200 first prize after a huge field of 2534 players signed up for this event. Event #39, the $10,000 buy-in Pot Limit Omaha World Championship, is down to 88 players from a starting field of 293. 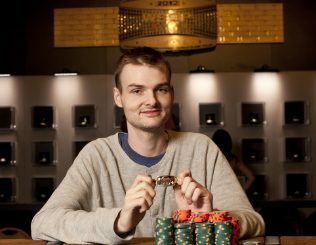 Benjamin Sage holds a narrow chip lead while Aussie Matthew Kirk is 33rd in chips entering day two. There’s also still plenty of play ahead in Event #40, the $2500 buy-in Six-Handed Limit Hold’em tournament continues with the total field of 302 down to 101 while two more events kick-off today, the $3000 buy-in No Limit Hold’em (#41) and the $2500 buy-in Mixed High-Low Split (Omaha/Seven-Card Stud) (#42).